(Paul Fassa) That “worst health” label includes a ranking of 34th in the world with infant mortality. In other words, the USA has the 34th worst infant survival with its highest rate of vaccinations. 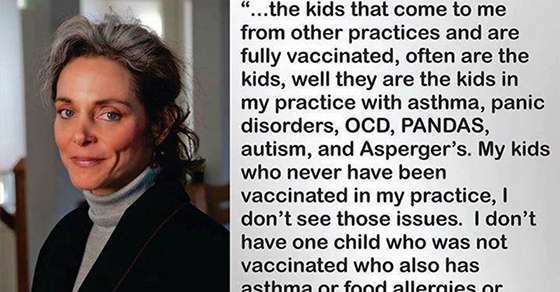 Some are directly from multiple vaccinations administered. The only vaccination I recall receiving during early childhood, circa 1948, was the smallpox vaccine, the one that left a circle of shallow pockmarks on the upper arm, a non-ink tattoo that proved you had received that vaccine. Months later there was the booster shot which gave me a vacation of several days away from my first grade teacher while sitting out the chicken pox. During Naval training the mass vaccination high pressure hand held gun that replaced syringes and needles was tried on us with the polio shot. I wound up with a vacation in the base infirmary with an extended period of the flu. Between those two, there may have been a tetanus shot or two. Autoimmune diseases, learning disabilities, food allergies, chronic ailments, and childhood obesity have all risen. The overall health of this nation ranks very low compared to all other industrialized nations, dead last in most areas. Vaccine false dogma is so heavy hardly anyone with authority, even in mainstream media, makes the connection between poor health with high vaccination rates. Instead, more, three added for 2016, are getting enforced by mandate or coerced by pediatricians who have the right to refuse medical care on kids who aren’t vaccinated. In 1986, after the swine flu shot debacle of 1976, pharmaceutical companies lobbied and helped write the legislation that guaranteed they couldn’t get sued for vaccine adverse effects, damages, and deaths. That legislation created the vaccine court where vaccine damages would be compensated to parents of vaccine injured children if they could prove the injuries were vaccine caused. It’s a cumbersome system set-up outside of the tort court system, without juries of peers, to determine who gets settlements supplied by surcharge taxes on vaccines sold. So we have large sociopathic pharmaceutical companies making big bucks from worthless protections against minor diseases, which often create collateral damage that’s considered worth the greater good of herd immunity. All nonsense. But it’s a great business profit oriented model. The trail of worsened health among children lines up even more business for pharmaceutical companies and the academic sociopaths that that benefit from “checkbook research”, that is getting the results Big Pharma wants for getting their toxic “solutions” to market.